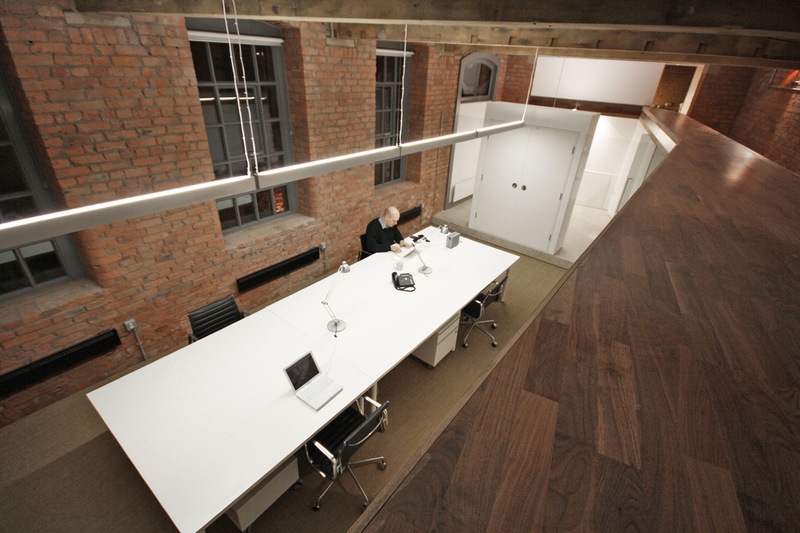 An office fit-out project within the Grade II listed Albert Mill, Castlefield, Manchester. In its original and basic state, the unit was an irregular shaped space with bare brick walls, windows to one side and an impossibly high ceiling with exposed timber beams. 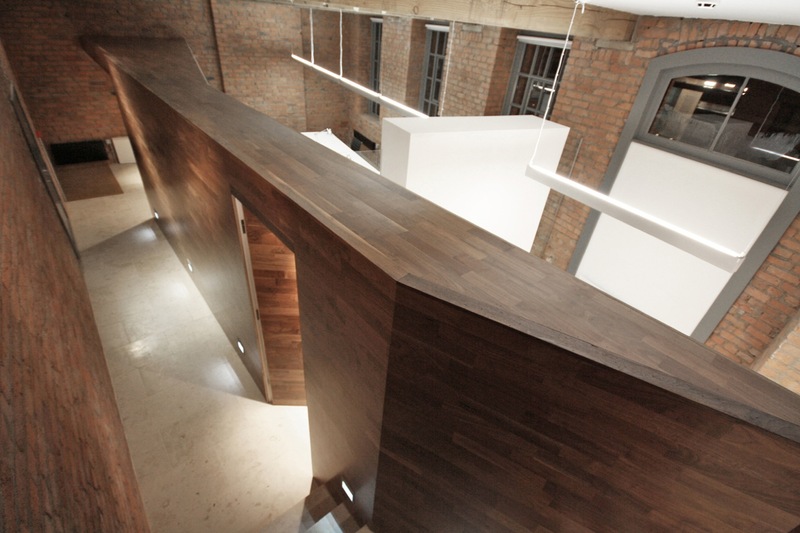 The new fit-out uses every inch of floor space to create a gallery/reception, studio, meeting room and, up a short flight of new stairs, a new WC and kitchen. All original features are retained and exposed. The dominant new element is a walnut-clad spine wall that sweeps across the space, acting as partition, storage unit and much more. 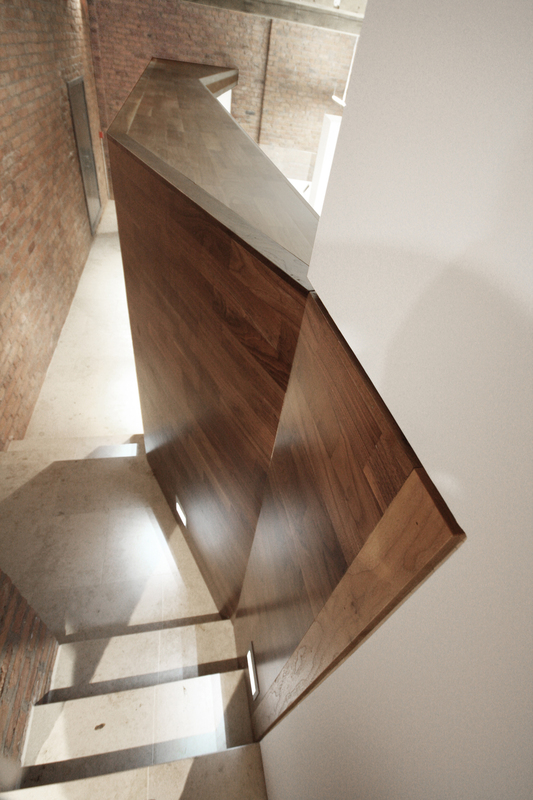 This new element is designed to preserve the feeling of the original volume, its form corrects the geometry of the irregular shaped plan and it acts as a space divider separating reception and gallery from studio and meeting room. 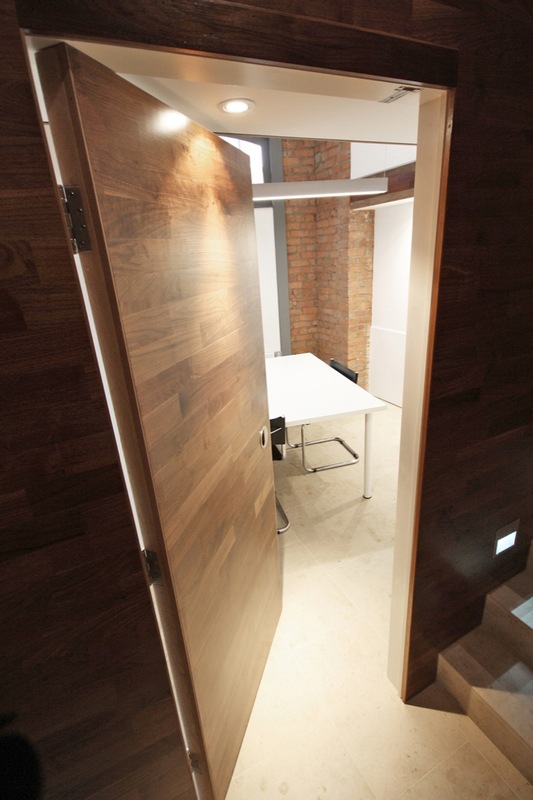 In contrast, a frameless glass partition with a white inset cupboard divides the studio from the meeting room. 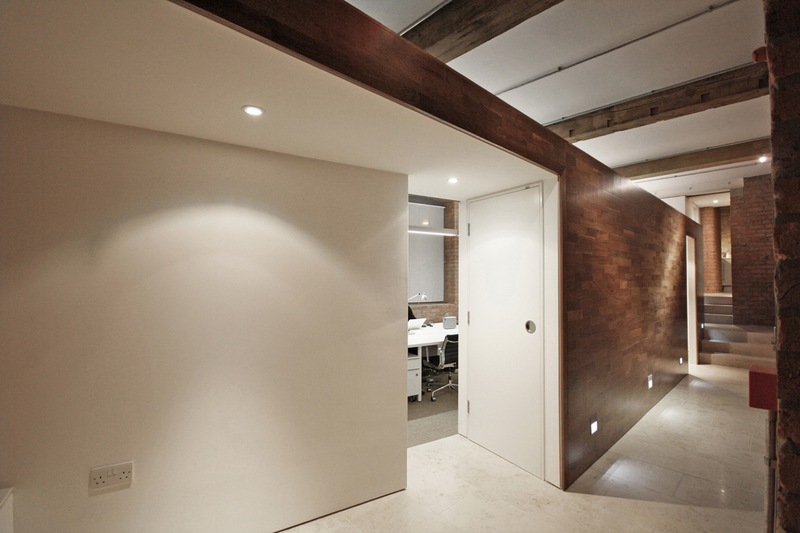 The spine wall is deep enough to accommodate all storage; a cloaks cupboard near the reception, bookcases and cupboards in studio and meeting room. 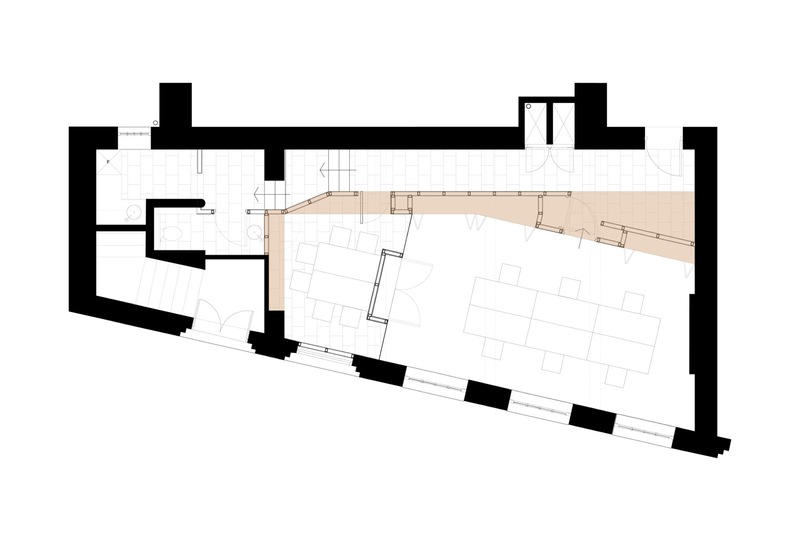 At two meters high, it stops well short of the three and a half metre high ceiling, allowing a sense of the original volume to be retained and enabling natural light to penetrate the whole depth of the plan. The scheme demonstrates how the reuse of existing buildings can produce exciting and inspiring spaces and how cost effective solutions don’t have to compromise on high quality finishes and specification. It is a sensitive, innovative and contemporary design that enhances and celebrates the qualities and details of the existing listed building.